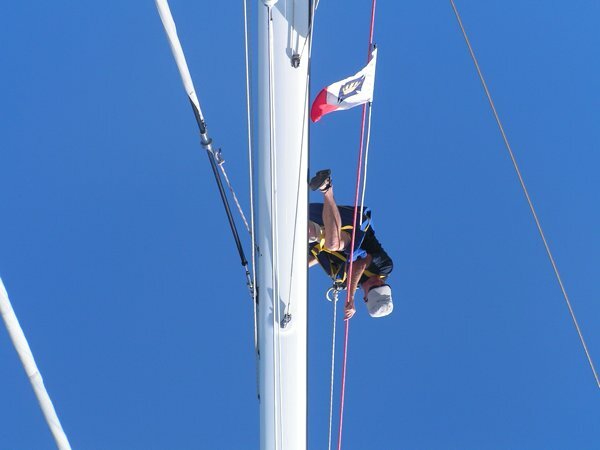 At the end of the cruising season the last job is to take the RCC Burgee down from the masthead. Simon not wanting to be seen with the Burgee in an inferior position to his trousers. That’s it for now until next season.